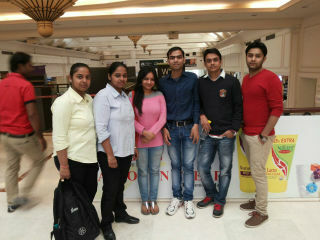 A field visit was organised to DLF Emporio and DLF Promenade, Vasant Kunj for PGDM- Retail Management students. The objective was to make students understand the the concept of Classes and Masses in the world of Retail. Two malls are in the vicinity of each other, yet catering to different segments. While one catered to the Classes, the other maintained repetitive walk-in by the masses. 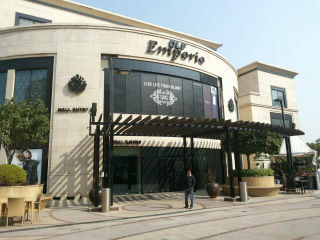 DLF Emporio has been designed as a name synonymous with luxury - offering a unique shopping experience where the accent is on exclusivity, space and aesthetics. On the other hand the Promenade has been effort to target the ever increasing numbers of the newly evolved middle class, the ones who have aspirations of the niche segments and has kept the convenience and aesthetics to match the same. It was an inquisitive visit and enlightening for students to understand the difference between the two. Students were accompanied by the Visiting Faculty of Luxury Retail paper, Mr Gurpreet Khanuja, who also cited examples and logical conclusions that helped them understand the essence of profitability in retail. Students understood how a premium pricing survives on repeat customers and how the competitive pricing ropes in revenues via numbers.Students also learnt the extent of customization that takes place in fashion industry. Students also interacted with employees at Louis Vuitton, Salvatore, Armani to name a few.